Yesterday an apparently damning report concerning culture at Sydney University’s residential colleges was provided to the ABC. As a member of St Andrew’s College Alumni I feel compelled to write and defend the institution, based solely on my positive experiences as a resident and student for three years. Entitled The Red Zone, the full report is to be released later this week. 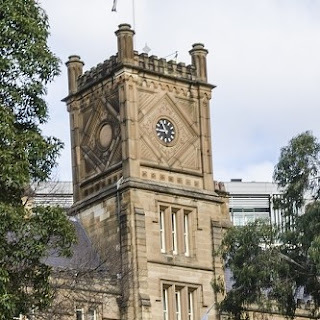 According to the ABC, who ran the story across multiple platforms on day one of Sydney University’s O-Week, it contains details of disturbing rituals, hazing and victimisation, particularly concerning first year students. The stories ran by the ABC featured a handful of individuals who spoke out detailing their negative experiences. I admire the bravery of these individuals and I certainly don’t doubt the veracity and seriousness of their claims. I hope they are in the minority, although I this may be a rose-coloured glasses view. I dearly hope we hear from current and recent students who are thriving, or have thrived, in the environment without engaging in, or being on the receiving end of, such unacceptable behaviours. My own personal experiences are now somewhat dated, having attended the college from 2002 until 2004, but I hope they are still relevant and reflective of conduct today. There were certainly some initiations for first year students, all of which I participated in, many of which included a large element of fun and none of which resemble the experiences of those who spoke out on the ABC last night. The only commonality I could identify was excessive alcohol consumption. At all times I felt like I could put my hand up and opt-out, something I did do once, and I never felt individually victimised. I was part of the first intake of females into the college after a proud history of Andrewsmen being known as “Andrews Animals”. The majority of us felt warmly accepted into the college by the majority of the male students. I do acknowledge that across the community of colleges there was certainly a culture of misogyny and sexism. Whilst I don’t defend or condone these attitudes and behaviours, I feel that they were reflective of the position of broader society. As a society we have come a long way in the last 10-15 years and I hope this is reflected in the current students’ attitudes. Would I allow my own son and daughters, currently toddlers, to a Sydney University College? Like all decisions I will be privileged to participate in for them, I will decide at the time, based on so many factors – is it right for them? Is the current culture appropriate in society’s eyes and for their personality? Can we afford it? Is it what they want? And so on. Was it right for me? Certainly. I don’t deny it’s a secluded existence for a privileged few, and I would like to see more opportunity and accessibility for country students, but I feel enriched for the experience. I drank a lot and partied hard, but I also worked hard in an environment that was acutely focused on academic, sporting and social achievement.